Thorne & Derrick distribute the complete range of Earth Bonding Points that are installed to provide a convenient earth connection point in concrete structures – when cast into concrete the earth bonding points with optional copper lead tails can connect the steel re-bar to the earthing or lightning protection system. 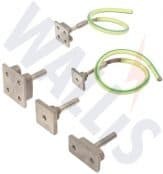 Earth bonding points are available with pre-welded tails consisting of green/yellow insulated earth cables with stranded copper conductors and 70sqmm cross section area. 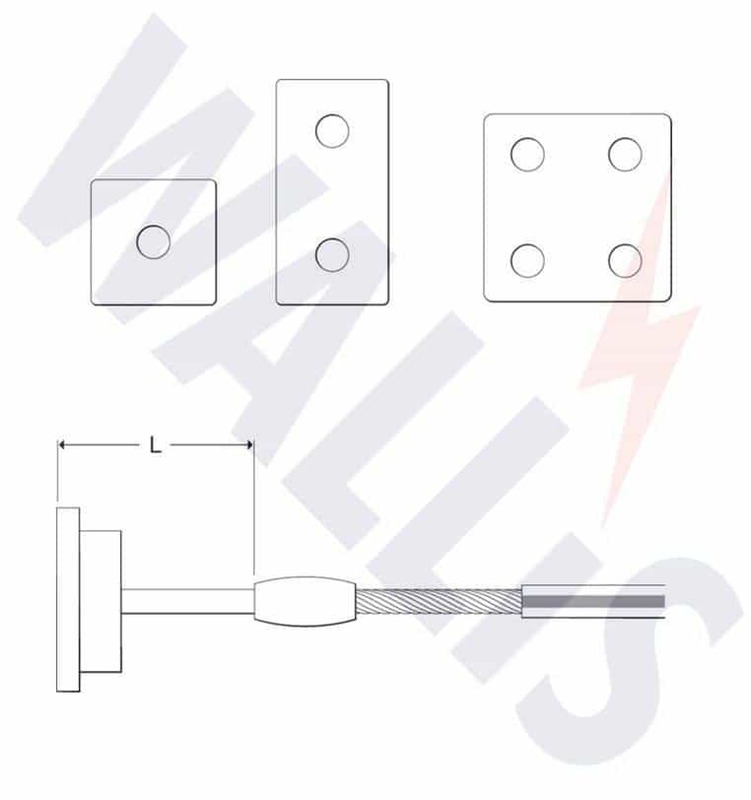 See also earth bosses for welded earthing connections on equipment, plant, structures and buildings when casting into concrete is not possible. 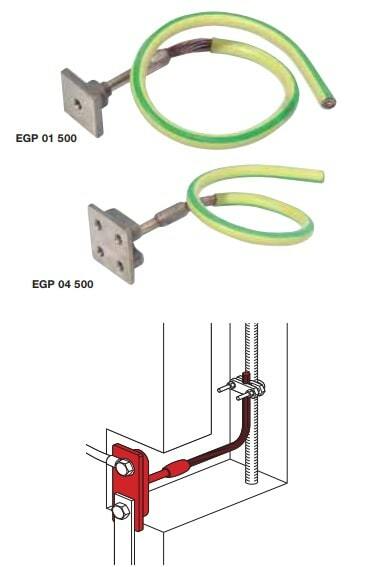 Where a flexible earth bond is required we can deliver from stock standard or customised earthing bonds manufactured from high quality copper braid. Complete range of Copper Earthing Products are available from stock at most competitive prices. 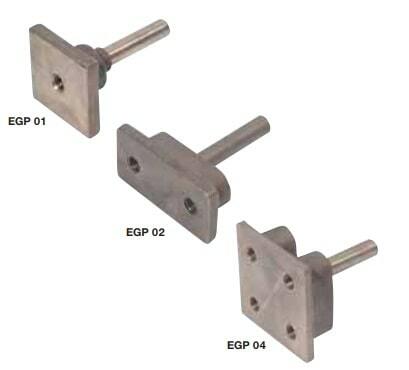 Standard earth bond points are shown in the following table with Gunmetal bonds available in a selection of plate sizes and optional hole arrangements for fixing or connection to the copper earthing system – standard earth bond lengths are 75mm with 70sqmm stems and are available with pre-welded copper earthing cables detailed in the lower table.